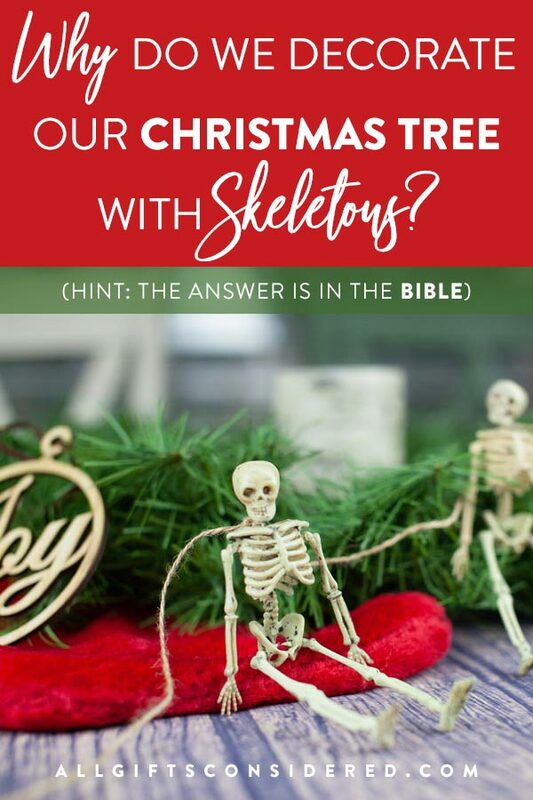 We decorate our Christmas tree with skeletons. Here’s why. You know how Christmas decor starts right after Halloween? Like, November 1st hits and wham, everything is green and red with bright sparkly lights and ho ho ho. Of course you know. Everyone says, “Golly gee, I can’t believe the year has flown by and it’s Christmas again!” Like this hasn’t happened before. Every. Year. Well, here’s something you might not know. The day after Halloween is one of the best days to stock up on some great Christmas ornaments. Because the stores pile in all the Christmas stuff on November 1st, the old orange-and-black spooky-witch-and-pumpkin junk has to go. So go it does, and usually at 50% off or more. I’m telling you, this is the best time to buy your skeleton Christmas ornaments. 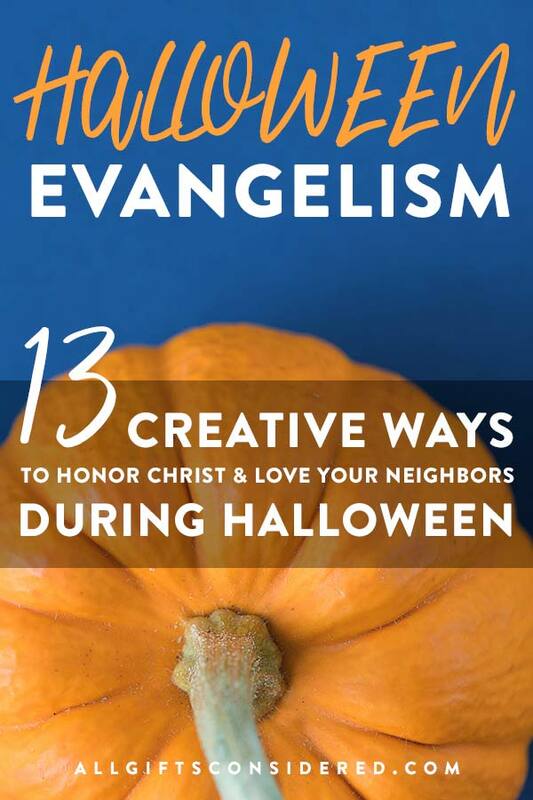 How do we Christians honor Christ and love our neighbors on Halloween? More specifically, on a day when our neighbors are literally coming to our door and asking for gifts – what we might call “grace” – what is the best way to display the Greatest Gift of all? That’s right, I’m talking about Halloween evangelism. How can we ignore our call to share the good news on a night when our all-American culture of privacy and neighborly insulation is set aside? Are we called to disappoint kids by handing out tracts instead of candy, or hold them hostage while we make a presentation, or make up cutesy candy bags with tags that say, “Jesus is the best treat of all,” or should we try to show love in deed only but not in words? As Christians, how do we celebrate St. Patrick’s Day? Nowadays it seems the green-themed Irish holiday is simply a time for corned beef and cabbage followed by drunken revelry. But as Christians, we know there is much more to life than that, and we have even better reasons to celebrate. We love Christmas so much at our house. All the traditions, all the decorations, all the presents. Even the cheesy parts, like schmaltzy Christmas music and drinking hot cocoa by the fire. We love watching Home Alone and The Santa Clause, wearing Santa hats and listening to someone read A Christmas Carol (even if it’s just the Disney picture book version with Mickey Mouse). We love Christmas so much because we love celebrating that Jesus came into the world to live the life we couldn’t live, die the death we should have died, and make us right with God now and forever. This is such good news (what we Christians call “the gospel”) that our family loves to do anything that makes the coming of Jesus seem as beautiful, fun, attractive, intriguing, inspiring, and awesome as it truly is.